Franklin County is the second largest county in Ohio based on the population. The population for the county stands just over 1.1 million people making it the 34th largest county in the United States (Wikipedia). In the middle of the Franklin County is the city of Columbus, the state capital for Ohio. 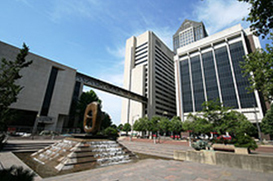 Columbus is home to several area attractions and institutions like The Ohio State University, which is considered one of the largest Universities in the United States. Columbus is also home to several professional sports teams, Columbus Crew (Major League Soccer), Columbus Bluejackets (National Hockey League), Columbus Clippers (Minor League Baseball, Triple AAA). Franklin County also hosts the state fair every year for the State of Ohio.